Tutti Designs: A Tutti Crane, Just for You. 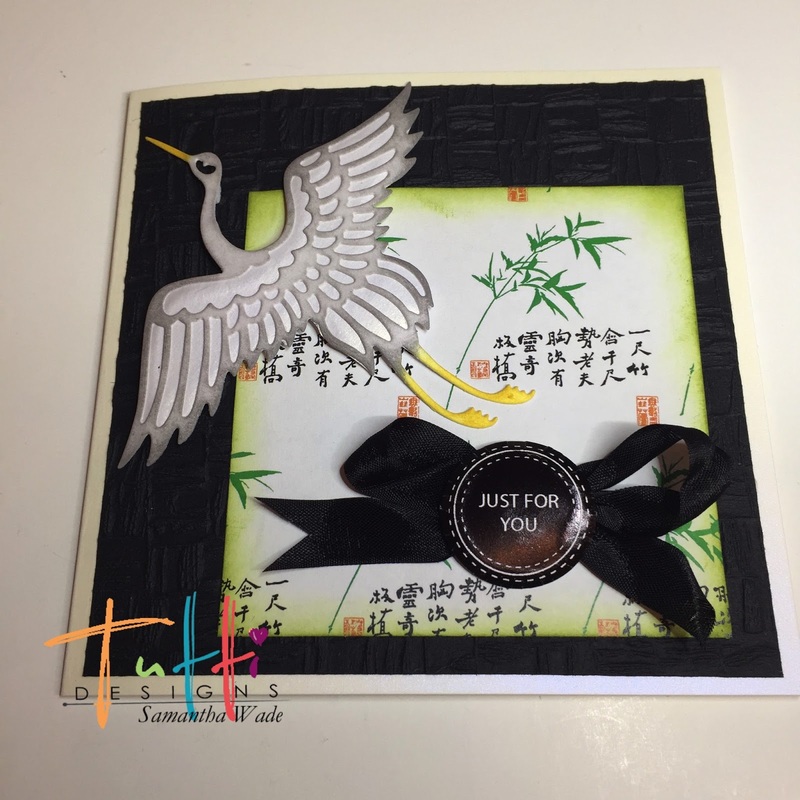 Die cut the crane from white card. 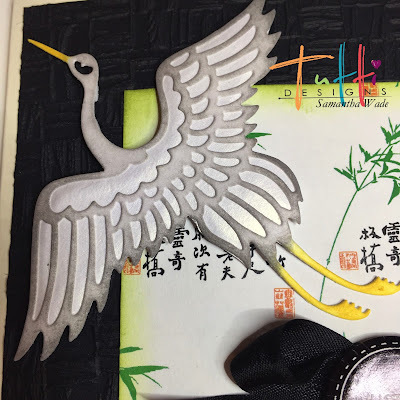 Colour the legs and beak yellow then the rest of the crane with distress ink hickory smoke. Then draw around the body and cut out to back the bird. Made the background from black texture card and oriental paper. 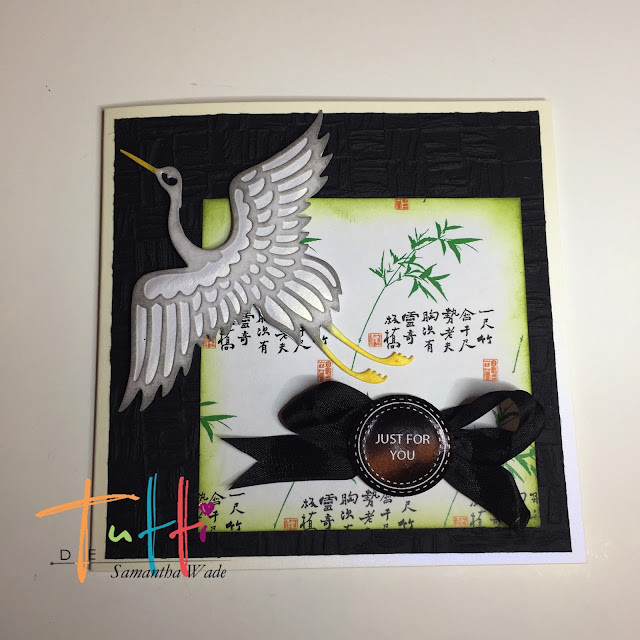 Tie a black bow and add a sentiment. Oh Samantha this is just fabulous! 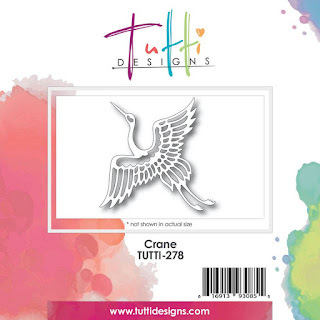 Your design/papers showcase this crane perfectly! Awesome inspiration ... thanks!